The batsignal is calling out all batman tas& tnba fans to arms! The main idea is a free-roam game, with a main map of the center of batman tas's gotham( which will extend to its other parts )and a set of sophisticated random generated situations for the caped crusader to take on. Beside the continuously random gen.crimes ,there could be a ton of special missions(which could generate at random,but only once)which should work as a platform for the greatest stories of the dark knight to unfold , including the stories of dark knights greatest villains first appearance(which should give em after that the possibility to appear in the random gen.crimes)or just plain ol classic stories, like the story of the grey ghost. 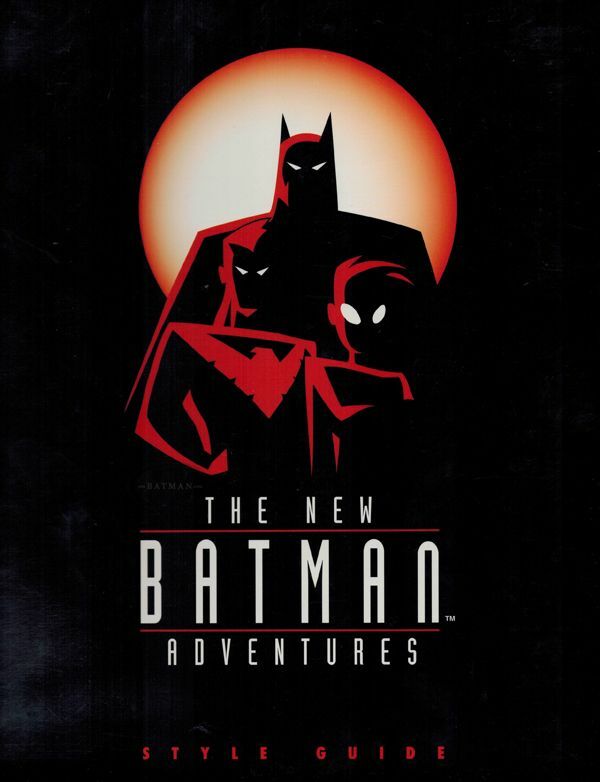 Other random gen. unrepeatable special missions could take place in the past, at the times of bruce's times of training,which could serve as a plot mechanic to "remind" you(actually teach you) of certain hard-gained skills/feats of the batman(like fighting blind folded,giving the danger sense power)or to tell story of his first encounter with doctor hugo strange , batman's first encounter with the super natural,batman's first encounter with Gordon(which could open the police headquarters for random quest giving)bruce's first night out(teaching the importance of theatricality,spewing fear to criminals hearts..)reliving the death of your parents through nightmare missions etc. (after all batman from btas is not the most high-tech version of the dark knight)which will require tactical thinking since every hit counts(and bullets hurt,when you fight crime with a bat-suit made of cloth)good measure of your actions using your environment,the shadows,fear and the arsenal of bat-gadgets that fit the utility belt which are expendable ,perhaps even random generated maps of gotham city for each playthrough (if thats manage-able through the ffvttr mech). 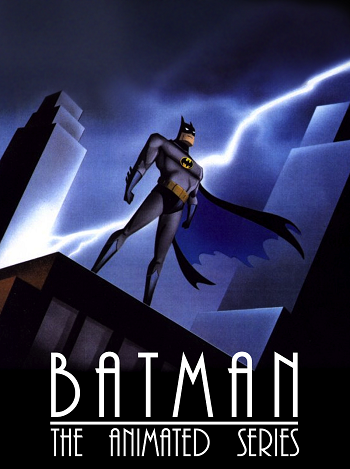 The mod could have various diverse aspects of gameplay, from detective work(searching for clues,finding information,interrogations on the streets)to car chasing,to castle defense or castle take-over..
All taking place in a dark-deco designed environment, of the full of dark corners(for stealth ) gothams streets,its skylines in the case that gotham should be cut in half not only horizontially but also vertically,hence letting you roam not only its streets an its lower rooftops but its higher skyscrapers as well, extending the map "upwards"while practically its gonna be another map, which should work kinda like the spiderman games from the ps1 era,in which you cant see the ground,and if you fall from a building you die instantly.In such a case, in order to move you re gonna have to jump from rooftop to rooftop, and in case you fall(or get thrown down)from a building..that will be it. Likewise there could be simulated missions such as fight on top of a speeding train(using a spherical object surrounding the map which should be skinned with a moving reapetable gif or an repeatable cone fx,since I dont know whats the case of gifs in ffvttr)or on top of a flying zeppelin or a plane etc..
You could also enter rooms (through portals etc),gothams sewers, arkham asylum, wayne manor,bat-cave and whatnot! Then some love for batman and the combination of love an nostalgia for the greatest form of him in any screen big or small..
and its highly stylised sequel..
Also there are some more practical stuff like modeling the maps to the dark-deco style, modelling the characters too to resemble the fine artwork of bruce timm's genious minimalistic look..which is the reason I am getting headaches from 3dsmax5. Some coding here and there.. anyways..
seriously it seems like a mountain to complete it whole myself. What do you think?Any ideas? I will be giving more feedback on its progress,and more extended concepts, soon! Howdy Fisser, I think it's a great idea. I've toyed with doing a Patcity style freeroam Batman mod for years, but I've got way too many other projects to work on. You say it's too much for you to do on your own, but I've created around 90% of my projects pretty much on my own (with the occasional indispensable help from the community). What you're proposing here is actually not that much work, I'd say. You'd likely have to give up having the visual look of TAS, but other than that, everything you need already exists. All you'd really need was the ability to do some fairly straightforward EZScripting and modding. You could just take the Patcity freeroam mod as your base, and a good 75% of the work would already be done for you. Using that as a base, most of the random encounters are already created. You can just replace anything that doesn't fit the feel of the story you want to tell with different characters. Then you could create your own side missions and special missions, once again, building from what is already there. Because you're just using a single hero, you could even get away with giving Batman the driver attribute and letting him switch into the Batmobile or Batplane in game. There's a great Gotham City map in the mappack, but I'd say you should probably just use the extant Patcity maps and just replace their textures with Goggle's building retextures to make it look more run-down and Gotham-ish. I say, give it a shot! Good luck! 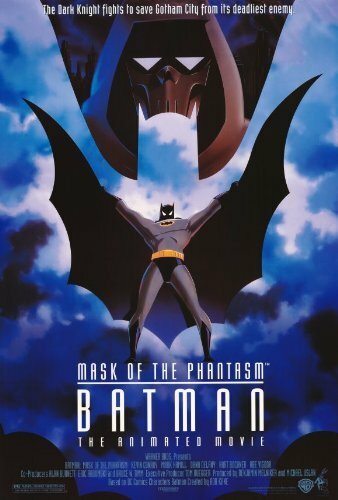 This would almost make me interested in finishing my Mask of the Phantasm Skope...Almost. Is there a collection of TM animated style meshes anywhere? I never collected them. I'd like to try this challenge. I miss creating characters. Does this belong in the request section? Well not really but there IS that http://freedomreborn.net/forums/index.php?topic=59582.0. But the past semester I ve been full over my head and I couldnt find the drive nor the time to work on it. 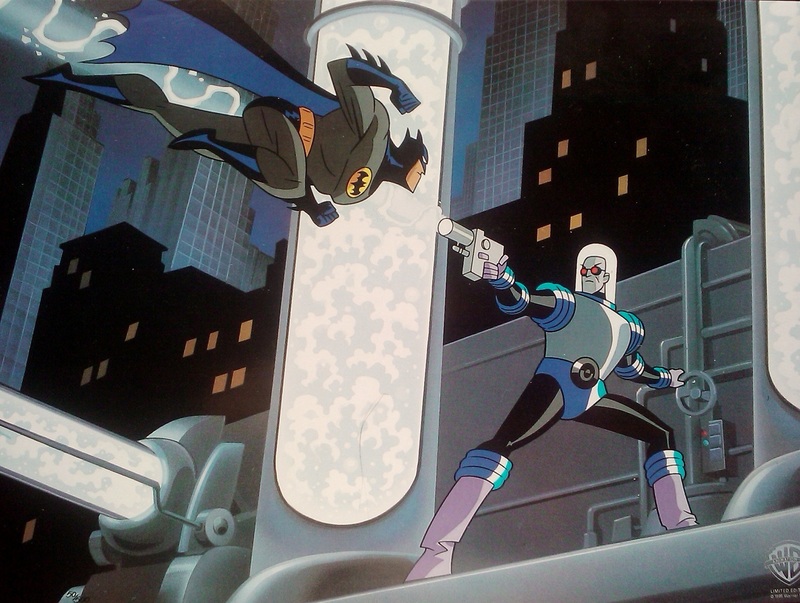 There are some Bruce Timm animated-style meshes out there (made by Volsung, I think?). There was a Batman, Superman, Flash, Aquaman, and various Justice League animated characters...I also think there was a Joker (not positive on that, though). Wow thank you very much Dana. In the past I saw some dcau inspired meshes/skins, but I was completely in the shadows on most of these. I am astonished to say the least (that superman is incredible). I did try making some batman meshes myself a year ago using similar techniques. Besides pc time these are some thoughts regarding some obstacles I am facing towards having actual progress on it. To me, the aesthetic resemblance is a top priority, and that expands to the animations and the mechanics. Even if I had a batman model that looks just like in dcau, it would have to play/act like him. Have an idle animation in which he is covered in his cape completely. In all other movements the cape covers only his shoulders till their animation ends, which establishes a dynamic looking cape, aesthetically resembling to the batman in dcau. Distinct combat animations that resembles batman's uncanny martial skills(which could be made probably by customising existing ones). A defense animation which makes batman hold a defensive stance behind his cape. 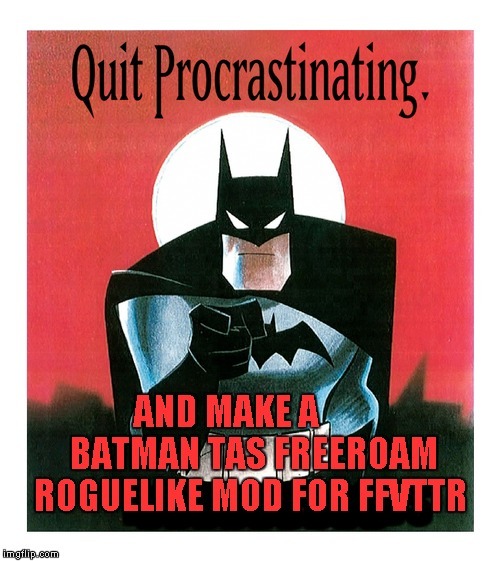 Overall I feel that a rogue-like is needed for ff to tone up the playing of the game and that the timmverse would make a great addition to the ff mods, due to its aesthetically pleasing simplicity(and reputation/fame/nostalgia), lack of a solid representable game and the fact that ppl seem to ask for it more and more nowadays(myself incuded, obviously). Its just that I will probably be off for most of the year, and that it would take some 3ds max animation achievements from me to get the animations in need done, which hold me back(besides anything else). In any case this idea is stuck with me for years(in and out of these forum,"physically" or as a phantom), along with my love for dcau(which doesnt seem to fade anytime soon) and it should progress sooner or later.